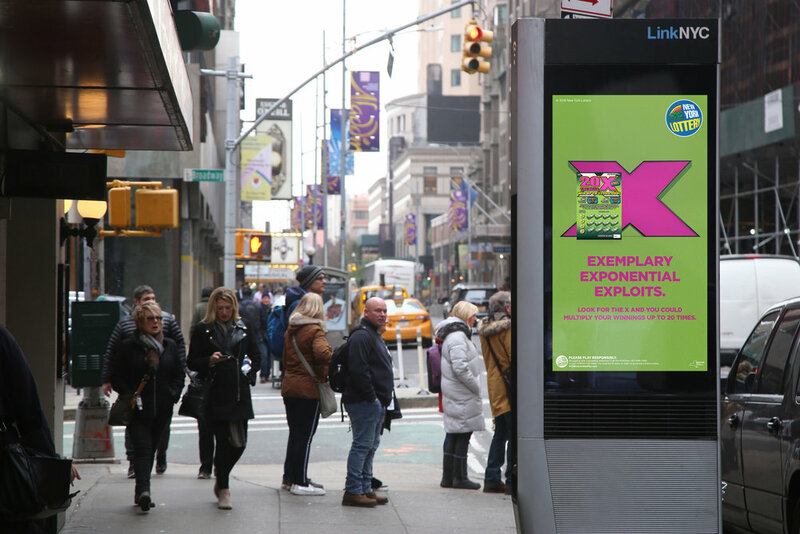 The new Scratch-Off tickets from the New York Lottery gives you a chance to multiply your winnings exponentially. But instead of focusing on the multiplying aspect of the tickets, we decided to capitalize on the “X” symbol featured on the ticket. We opted to change the name of the tickets to “X Series,” allowing us to make the “X” the campaign’s focal point. To expand further on “Look For The X” we created a scavenger hunt that challenged people to find all the X’s in the images.